Marcus has been working with Kasper Electrical for 8 months but has 11 years in the electrical industry. Growing up, he was always interested in electronics and loves working in the marine environment. Marcus is very meticulous about ensuring everything is working to the best of its ability. 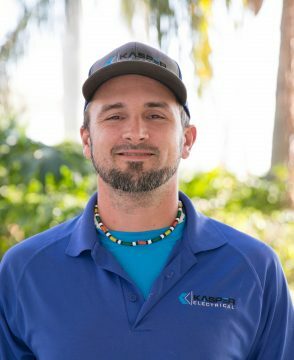 He has a large passion for boats and feels his personal experience owning a boat, allows him to better understand and empathize with his customers.